Patrick Racing emerged as a leading force in 1973, running 1972 and 1973 Eagles for Gordon Johncock and Wally Dallenbach with STP sponsorship and with George Bignotti moving over from Parnelli as chief crew. The team inherited the #20, #40 and #60 numbers used by Andy Granatelli with STP in previous years. The pair won five races between them and no other team won more than two: AJ Foyt bagging a brace in his new Bob Riley-designed Coyote, Johnny Rutherford sporting a pair in his works McLaren M16C and the Parnelli team also winning races with Mario Andretti and Al Unser. 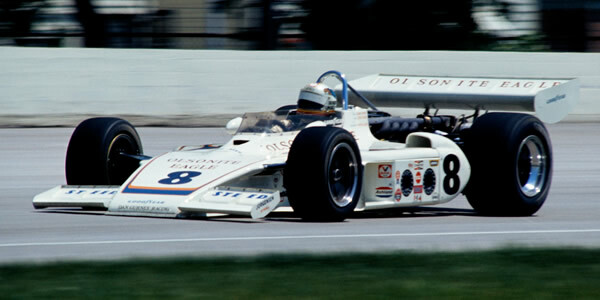 Bobby Unser took three poles but only one win in the 1973 Eagle. Based on qualifying speed, the Eagles remained quickest, then the McLaren M16C and then the Parnelli, an order unchanged from 1972. 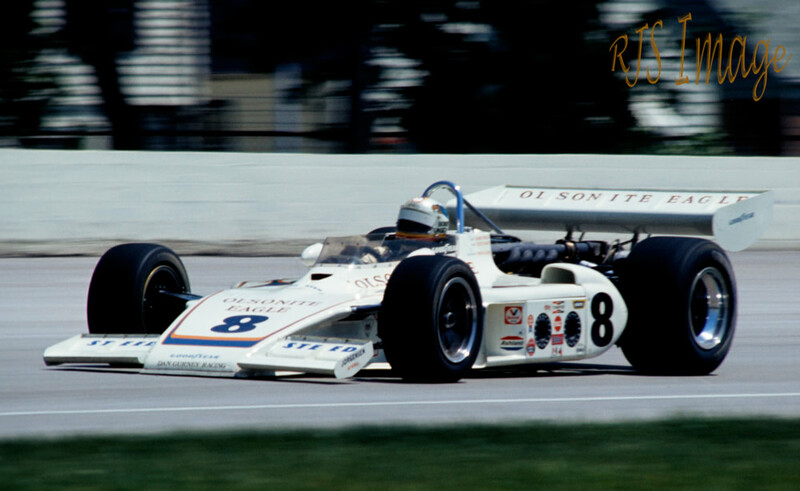 But it is reliability that counts in the USAC points system and steadily picking up points through the season was a two-year-old McLaren M16 owned by Lindsey Hopkins and pedalled by Roger McCluskey. He was third at Indy, fourth at Ontario and won the July Michigan to establish a substantial points lead and win the title comfortably. Dallenbach and Rutherford were next but close behind them was another regular accruer of points, the Sugaripe Prune Eagle 72 owned by Jerry O'Connell and driven by Billy Vukovich. For the third year in succession at least, the tortoise had beaten the hare. Points table by Phil Harms. In mid-1973, in time for the Pocono 500 and in response to the accidents at the Indy 500, USAC introduced new rules limiting the fuel held in the car to 40 gallons, all of which had to be held on the right side of the car. Also the rear wing width was reduced from 64 inches to 55 inches. The results in this section are based on the ground-breaking research performed by the late, and much-missed, Phil Harms. This was kindly made available by Michael Ferner who has added much new information. Gerry Measures has then been a huge help taking the research forward and attempting to identify models of cars and even individual cars. The motor racing history forums at Atlas F1 and TrackForum have also helped enormously with this work. All comments, clarifications, corrections, additions (and photographs!) are most welcome. Please email Allen (allen@oldracingcars.com) if you have any additions, corrections or comments.